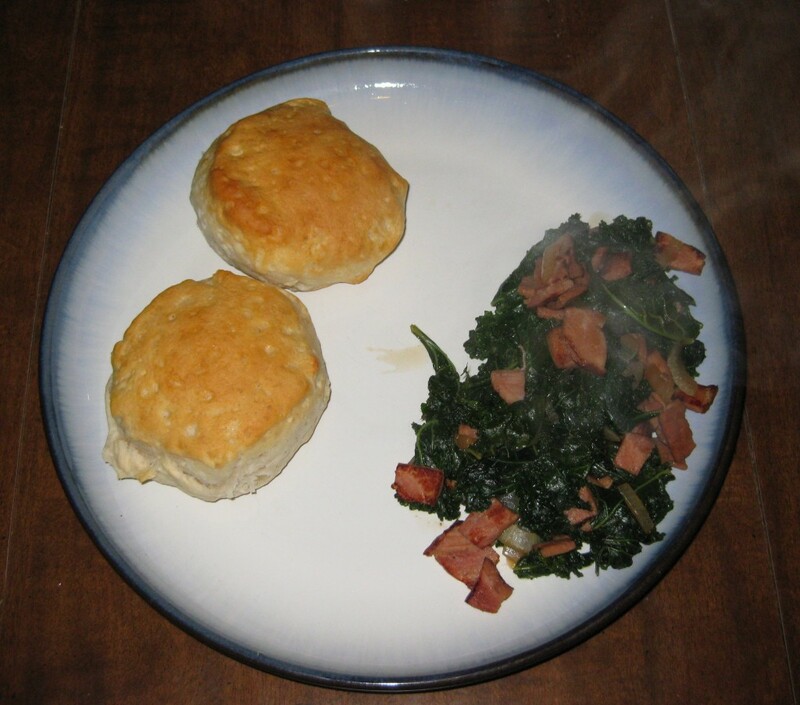 After consuming a derby pie over course of the past week, I was in the mood for traditional southern food, so I bought parts for southern style kale (which falls way past the “Vegtables cooked in pork count as pork” line) and biscuits. I got around to cooking it for dinner earlier, and it was terribly satisfying in its own salty, strangely textured way. Not a style of food I cook, or even eat often, and, unusually for traditional southern food, not terribly likely to kill you in short order.